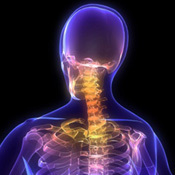 Our years of extensive training from chiropractic care and intensive postgraduate training give us the expertise to determine which techniques will be most effective for you. Our techniques are complemented by a suite of beneficial services to help you heal and enjoy optimal health. Typically, we recommend our patients receive massage therapy in conjunction with their chiropractic care. Chiropractic addresses the relationship between the spine and nervous system, while massage focuses on the muscles within the body. Used together, both disciplines assist each other to help your body maintain proper balance, alignment, and function. Our lifestyle therapy programs are designed to help assist you in your journey to wellness, with a focus on nutrition and exercises you can follow at home. A number of nutritional supplements are also carried in stock. Your chiropractor will be able to recommend which specific supplements you need. Give our office a call today at to discuss what we can do for you.